Now there are millions of video editors published on the internet. If you need a free MP4 editor, do you know which one is easy to use and can help you edit videos well? Sometimes, you may find it annoying to waste so much time trying those editors but couldn’t get an ideal one. Just take it easy. 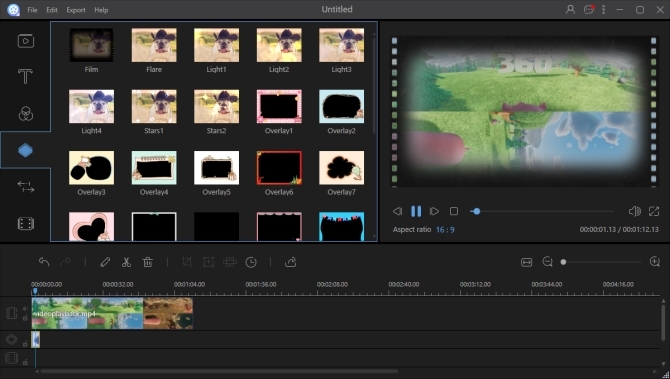 We have compared most of the popular video editors and would like to share the five best ones with you. ApowerEdit is a full-featured free MP4 video editor which you can install on computer to edit files very easily. It offers you hundreds of stylish and beautiful text, overlay, transition, filter and element templates. Plus, it supports many kinds of video and audio editing functions. 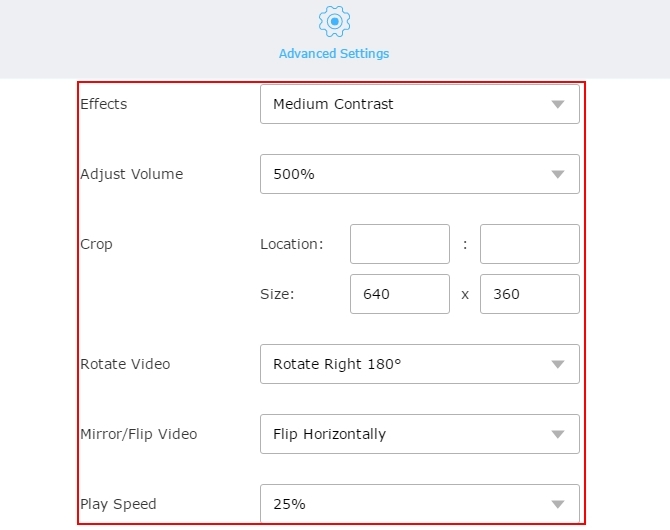 You can use it to change the speed of your video, crop, split, rotate video and add mosaic or zooming effect to video. Furthermore, it allows you to copy and paste any media files on the tracks simply by pressing Ctrl+C and Ctrl+V shortcut keys. Another great feature of this program is that it supports two PIP, text, music, filter and overlay tracks. Import your MP4 file by drag and drop it into the Media area on the top right pane. Drag the file to video track. Highlight it and choose to add text, overlay, filter, etc. to it. Click the “Edit” button above the timeline if you need to adjust its contrast, saturation, brightness, hue or rotate it. You can also edit it by splitting, cropping, adding zooming effect, etc. Click the “Play” button in the Preview area to preview the whole video effect. When you are ready with the video, click the “Export” button to save it. Video Grabber is a web-based free video editor that can be used on both Windows and Mac. No sign up or plugin, it can run on any popular browsers including Firefox, Chrome, Safari, etc. It is capable of editing videos in a lot of formats such as MP4, AVI, FLV, VOB, 3GP, WMV, MOV, TS, M2TS, H.265, ASF, and so on. It allows you to edit MP4 free by trimming, rotating, flipping, cropping, adjusting video volume, effects and many more. Furthermore, you can choose to output edited video by keeping original quality or customizing the video parameters including resolution, bitrate and frame rate. Open Video Grabber on your browser. Click the second tab “Convert Video” and “Select files to Convert”. Select your MP4 file from the pop-up window. Tap “Edit” to start editing your file. Click “Convert” when you have finished editing. If you are a Windows user, you might have heard of this MP4 editor freeware. It is a very famous video editing tool which can be installed on Windows 10, 8.1, 8, 7. You can use it to create vivid videos and publish them on YouTube, OneDrive, Flickr, Facebook and Vimeo. It permits you to split video files, merge different types of file together, add background music or photos to video and insert title or caption. It can also help you enhance the looking of your video by using vivid animations and featured visual effects. Though it supports dozens of input video and photo formats, you are only allowed to output video in two kinds of format: WMV and MP4. You can find many resources for downloading movie maker onto your computer on the internet. Just go to search for and download it. After installing, click Search Windows in the lower-left corner on your computer’s screen. Type “Movie Maker” and double click it. 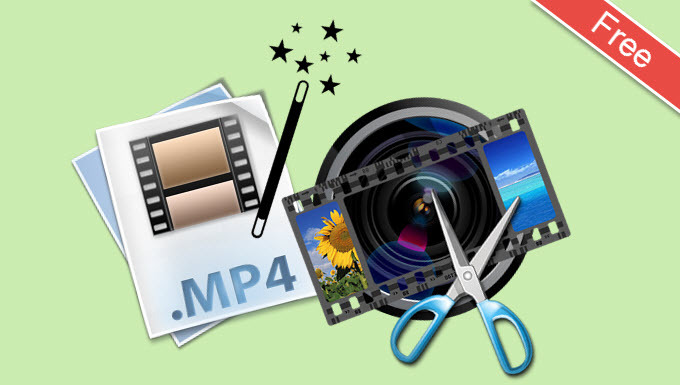 Add the media files to movie maker and start to edit your MP4 according to your needs. Choose to share your video or save it on your computer. 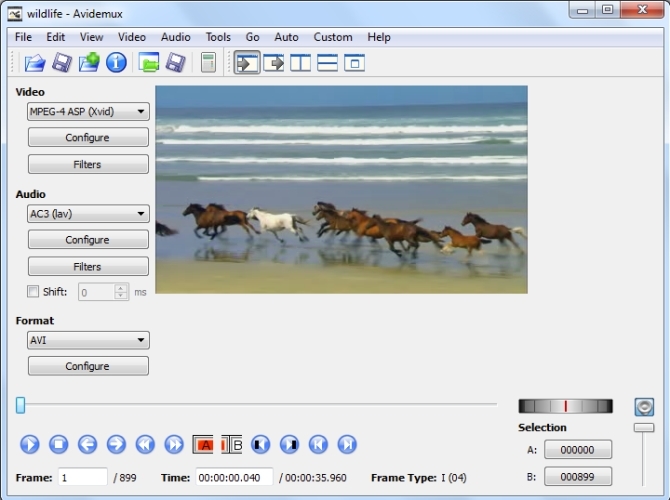 Compared to the above 2 free MP4 video editors, Avidemux is a little more professional and difficult to use. Unlike other simple editors, its interface is not very intuitive to use and most of the functions are hidden in the menus. It is compatible with Windows, Mac OS X, BSD and Linux. It has the ability to convert video formats, cut unwanted clips from video or a recording, resize file, correct colors and do many other video editing jobs. And if you need to automate video editing process, it can help you well. Visit fosshub.com to download the compatible version on your PC. Run it and click “Open Video” to load your file. To cut file, play it and set the start and end marker. Choose video output as Mpeg4 ASP (xvid4) and then click “Filters” to transform, add subtitle, correct colors, reduce noise, interlace, etc. Click “Save Video” to output your edited file. 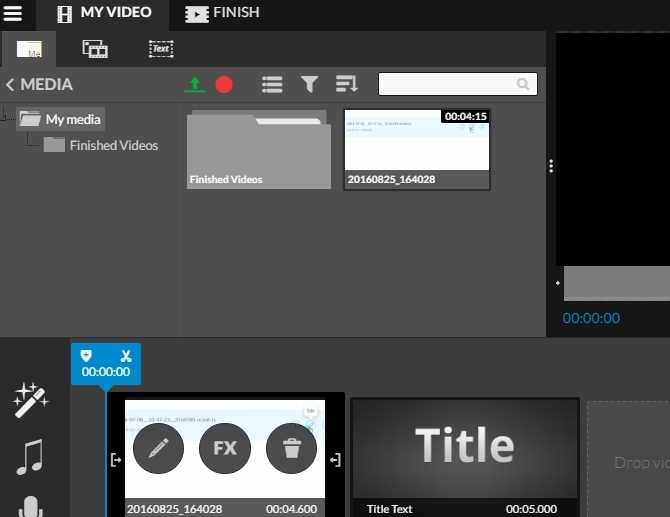 WeVideo is a cloud-based video editing tool which requires you to sign in. It is very convenient software for users who need to edit video on not only computer but also mobile devices. It is super easy to use, but the speed for loading your media is too slow. It enables you to split video, add caption, record video or voice cover, etc. It provides you some background songs, text styles and graphics so that you can enhance your video quickly. Open WeVideo on your device. Sign up your account and then login. Click the big green “GET STARTED” button. Click “Create New” and “Upload media” to upload your video, music or photos. Start to edit your video. Click “Finish” to set the video title and save it. The above five free MP4 editors can stand out from the crowds of other editing tools for their simplicity and practicality. Video Grabber has a friendly user-interface and supports many formats. 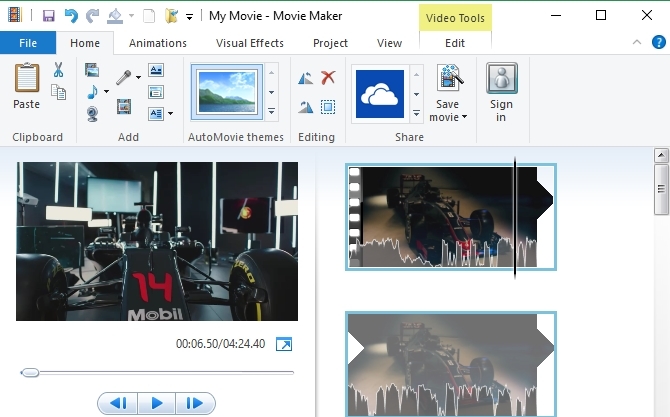 Movie Maker is a multi-functional editor but can save video in only 2 formats. Avidemux might be not very applicable for novice user. And WeVideo will add its logo to the output video which may make you feel unpleasant.